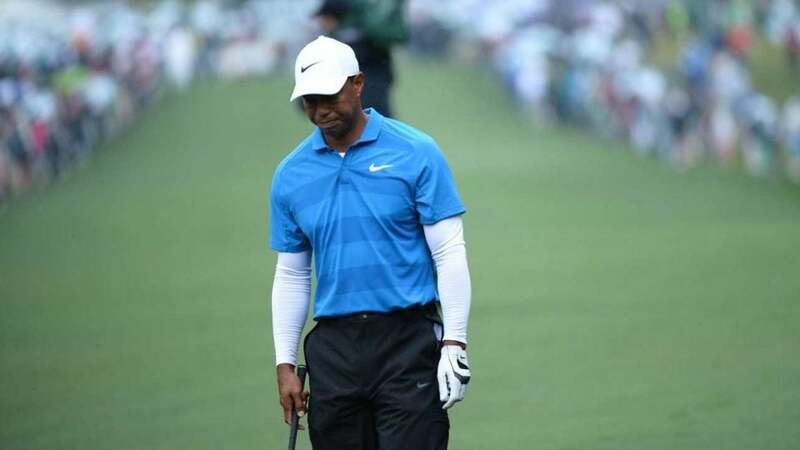 AUGUSTA, Ga. — Tiger Woods's 2018 Masters continued with an uninspiring 72 Saturday at Augusta National. Woods played alongside Ian Poulter, and though he pumped a drive 338 yards up the hill on the first hole, Woods's sloppy approach fell short into the greenside bunker. He'd make a bogey on the first and follow it with another bogey on the second. So much for a Saturday charge. Woods made a pair of birdies on the front nine to get back to even for the round but missed decent birdie chances on both 11 and 12. To be fair, Woods was pleased to simply find the green on the par-3 12th, as he had splashed his approach shot into Rae's Creek in each of the first two rounds. In a moment of candor, Woods threw his hands in the air in celebration. Four pars, one birdie and one bogey followed for Woods as he carded an even-par round. Moving very little on moving day, Woods will likely have another morning tee time Sunday.